Albert worked on the Clay Cross Company’s mineral railway at Crich. He served with the 7th Battalion Leicestershire Regiment, though few other details are known of his war service. He married Hilda Lee in 1926. In 1939 it is known that he was employed as a rope runner on the mineral railway. Prior to his death in 1986, he was one of the last surviving Crich Parish war veterans. 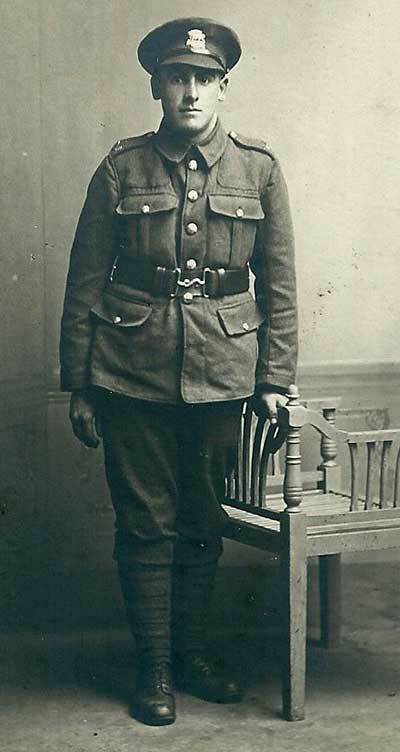 Pte Albert Stocks, of Crich Cross, arrived home last weekend having received his leave. Albert Stock's brother Fred Stocks is also on the Roll of Honour.